Penn Dental Medicine doctors, staff, and students provide emergency dental clinics in Philadelphia. 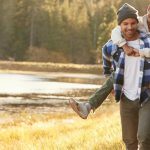 Although it would be wonderful if nothing ever went wrong with our teeth, or at least if those emergencies would wait until we already had an appointment scheduled, the reality is that life is unpredictable. Emergencies happen. In fact, according to a recent study, Emergency Room visits for dental care increased 16% throughout the United States from 2006 to 2009. Furthermore, many of these trips represent return visits, as patients go back to the same ER for treatment for the same problem. Clearly, the lack of access to emergency dental clinics is evident. However, for residents of Philadelphia, Penn Dental Medicine offers expert emergency dental care for their patients of record and local community. Visits to the Emergency Room for dental problems have continued to rise. 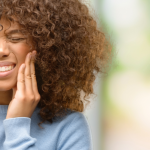 Unlike at designated emergency dental clinics, patients are unable to truly get the proper dental care they need in an Emergency Room, but seek treatment here for pain or even dangerous infections that develop as a result of dental problems. 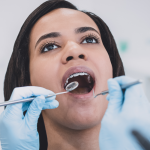 While a key root of the problem, involves improving the public’s preventive care, even with good preventive measures, dental emergencies do arise. Fro residents in the Philadelphia area, emergency dental care is available through the faculty, staff, and students of Penn Dental Medicine. In addition to offering routine, low cost dental appointments, Penn Dental Medicine also maintains an ongoing emergency dental care service. From Monday to Friday, 8 am to 4:30 pm, emergency treatment appointments are available. Additional fees apply for other treatments. If you find that you need to make an emergency dental appointment, you can contact 215-898-8965 during the above hours. After hours, you can call the same number for directions to other emergency services. 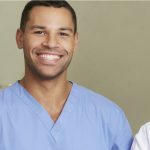 These affordable emergency services offer patients the chance to see trained dentists in an emergency, ensuring that they receive proper diagnoses and treatment options, decreasing the likelihood of needing a repeat visit. If you want more information about the emergency dental clinics and services offered by Penn Dental Medicine, contact us at 215-898-8965.